"Pugs Love Peace" is a humorous message to dog lovers and I hope to convey the importance of peace through what our dogs teach us every day that life should be lived to it's fullest in peace. 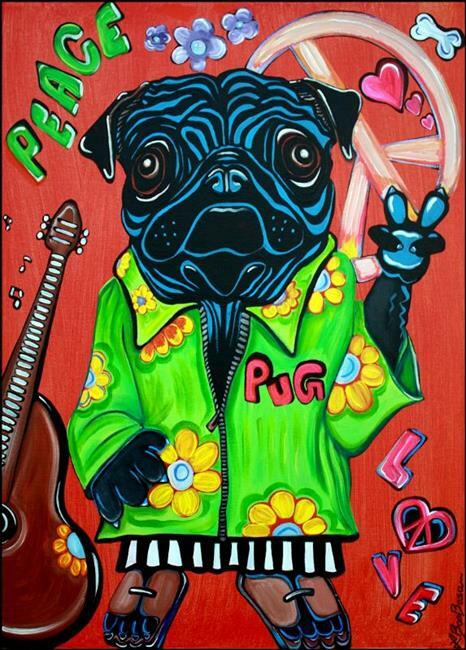 A black pug hippie who promotes peace to the world. Acrylics and Ink on Canvas by Laura Barbosa.